Hixter Bankside is the latest restaurant from Mark Hix, and it comes complete with the brilliant Mark’s Bar, located in the basement. 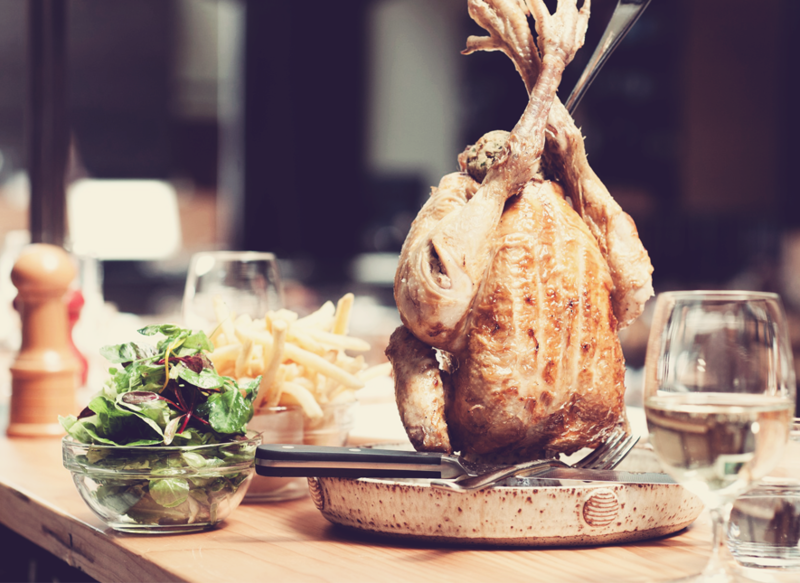 The idea of the restaurant is simple: choose chicken or steak to share. An idea the Mask team were only too happy to try out when the restaurant opened its doors for the very first time. Inside Hixter is all about urban luxe, with plenty of exposed brickwork, metal and wood giving the place an honest, authentic feel. Artwork doesn’t disappoint either, with one wall dedicated to a huge wooden sculpture (Hix’s restaurants regularly play host to incredible art by modern masters like Damien Hirst). It all gets a bit risqué when you visit the bathrooms, but we’ll let you discover what awaits there for yourself. On opening night Mark Hix was joined by Boyzone legend Ronan Keating, and a few members of the Mask team, as we tried out the latest menu set to cause a storm on the London restaurant scene. Hixter wants to champion British producers, as can be seen by its best of British menu showcasing Glenarm Mighty-Marbled Beef, Swainson House Farm Chicken, Sillfield Farm bacon and Dorset Blue lobster. British drinks producers aren’t overlooked either; the cocktail list at Mark’s bar showcases some of the UK’s top drink producers, perfect for a pre-dinner aperitif. The simple menu works fantastically well in its understated yet edgy surroundings. We loved the mighty-marbled Himalayan salt dry-aged steak, and the salted caramel fondue with marshmallows and cherries just might have been the perfect dessert. By 8pm on opening night it was a full house, and if the food’s anything to go by we can’t see that changing anytime soon. Our tip? Get there before the masses find out about it, Hixter Bankside might just be the hottest ticket in town!